This is essentially a book on linear algebra. But the approach is somewhat unusual in that we emphasise throughout the geometric aspect of the subject. 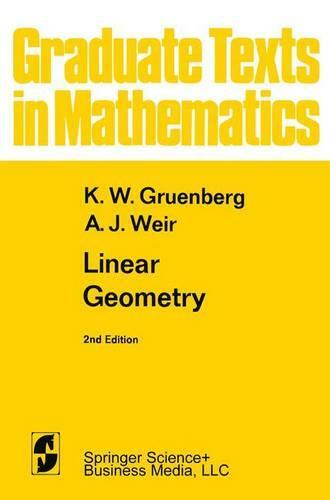 The material is suitable for a course on linear algebra for mathe- matics majors at North American Universities in their junior or senior year and at British Universities in their second or third year. However, in view of the structure of undergraduate courses in the United States, it is very possible that, at many institutions, the text may be found more suitable at the beginning graduate level. The book has two aims: to provide a basic course in linear algebra up to, and including, modules over a principal ideal domain; and to explain in rigorous language the intuitively familiar concepts of euclidean, affine, and projective geometry and the relations between them. It is increasingly recognised that linear algebra should be approached from a geometric point of VIew. This applies not only to mathematics majors but also to mathematically-oriented natural scientists and engineers.